In GOING HOME, when Morgan Carter’s car breaks down 250 miles from his home, he figures his weekend plans are ruined. But things are about to get much, much worse: the country’s power grid has collapsed. There is no electricity, no running water, no Internet, and no way to know when normalcy will be restored—if it ever will be. An avid survivalist, Morgan takes to the road with his prepper pack on his back. 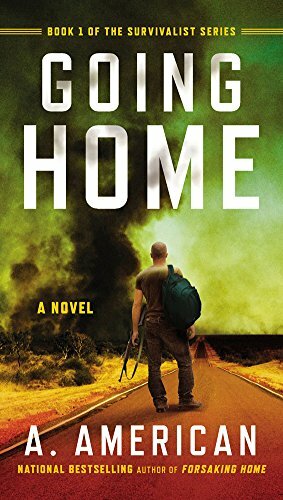 Going Home is Book 1 in the Survivalist Series.